HCM CITY (VNS) —Grandmasters Nguyen Ngoc Truong Son, Le Quang Liem and Nguyen Van Huy occupy all three top positions of the fourth HDBank Cup International Open Chess Tournament in HCM City. 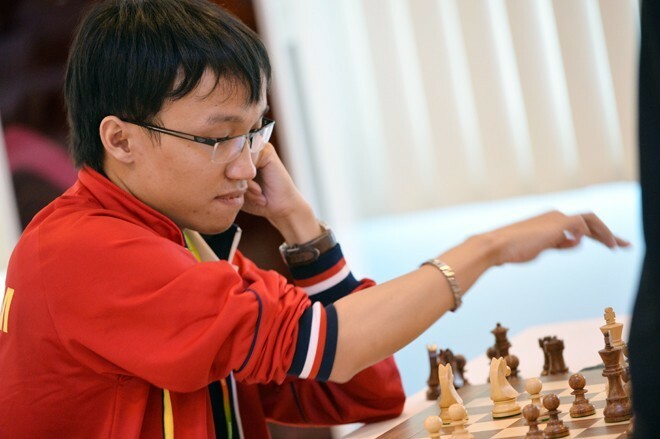 Former world U10 champion Son defeated his teammate International Master Nguyen Duc Hoa in the eighth round match yesterday, earning 6.5 points. His teammate Liem, the world No 38 and tournament No 1 seed, drew with former champion Ni Hua of China, while Huy beat local FIDE master Pham Chuong. Both of them bagged six points. The last round today will see Son play Ni, who is in fourth place, while defending champion Liem takes on Huy. Son just needs a draw result to win the tournament. For Liem, Huy or Ni to take the crown, that player would need to win and Son would have to lose.